25 « March « 2016 « Nothing in Biology Makes Sense! It is a difficult question to answer, and one that I’ve thought on often over the years. 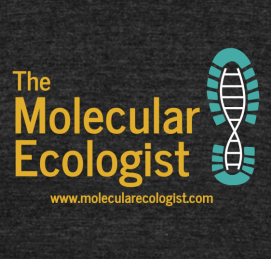 So imagine my delight when over at the Molecular Ecologist (If you aren’t reading the Molecular Ecologist every week, you are missing out. Seriously. Go read all of it. Now) Patricia Pecnerova wrote an article addressing the complexities of this very question. Check it out here. And read all their stuff. They are also doing a fundraising campaign, and have a cool logo (see above) which you can get on a tshirt or Mug.